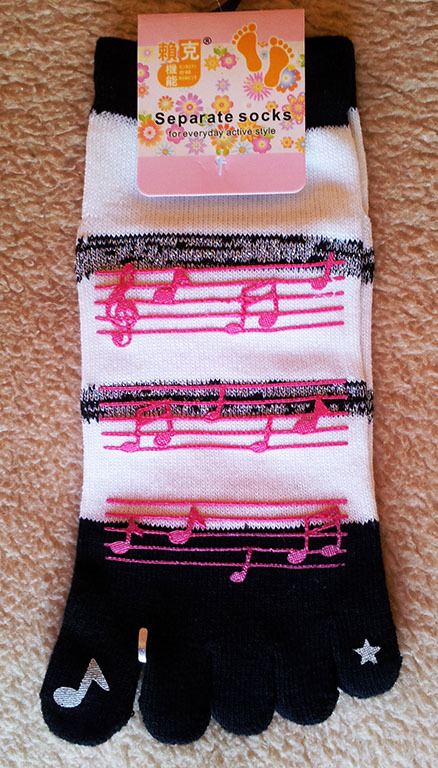 Saraband Music has the first small order of music socks. 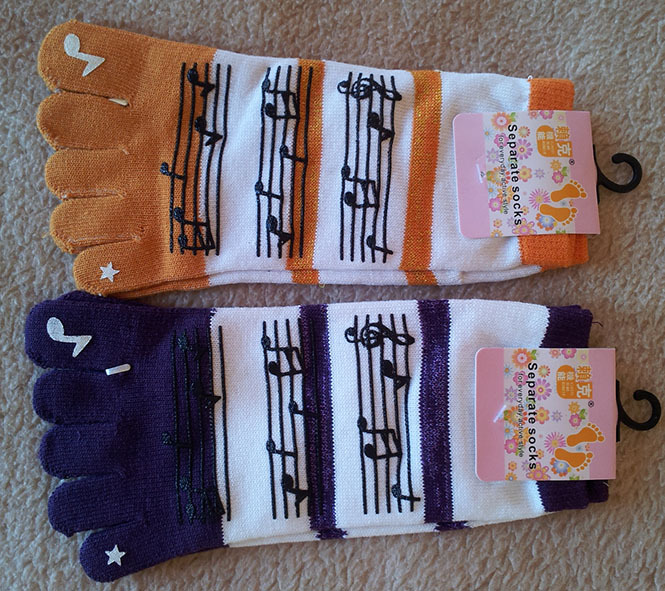 These are for SMALL feet, with the heel to big toe measurement 19-20cm. They could stretch to 21-22cm. Please measure the intended foot for size before ordering! 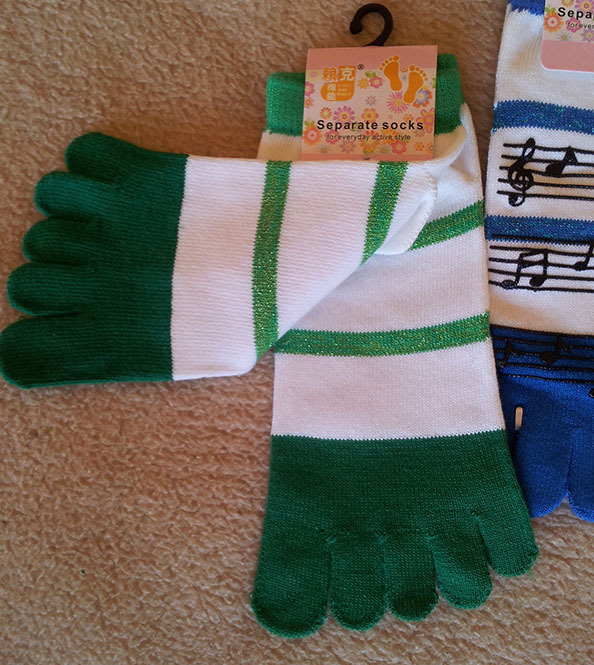 These are socks with each toe separate, and are intended for fun use only. 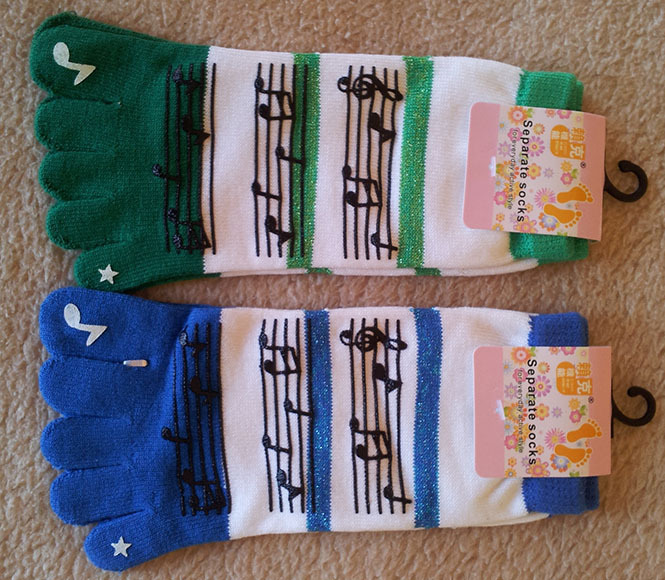 Colours are: green/white, blue/white, orange/white, purple/white, all with black notes and black/white with pink notes. The bands near the music are slightly sparkly. To order, simply email Patrice to check how many of each colour is in stock.